City of Palms Classic MVP. Bass Pro Tournament of Champions MVP. Georgia Gatorade Player of the Year. Mr. Georgia Basketball. Atlanta Journal Constitution Co-Player of the Year. 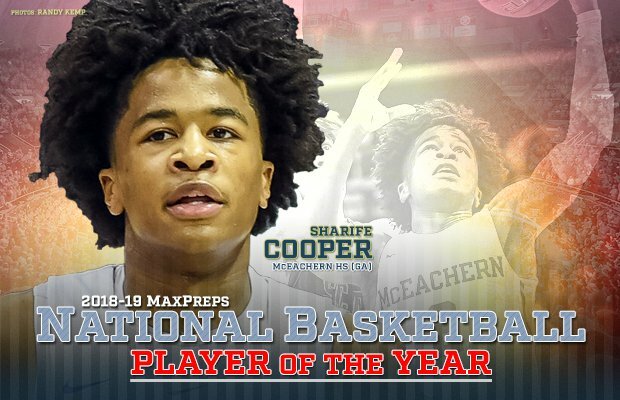 Add MaxPreps National Boys Basketball Player of the Year to the growing list of postseason accolades for junior Sharife Cooper — becoming the first non-senior to win the award. 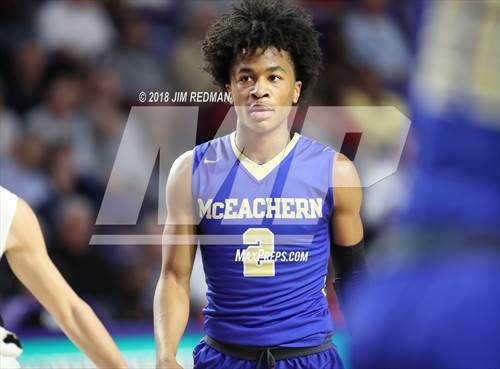 The McEachern (Powder Springs, Ga.) star dominated competition this season, averaging 28.6 points, 8.6 assists and 4.1 steals per game against a difficult national schedule that included 10 games against top 100 opponents. 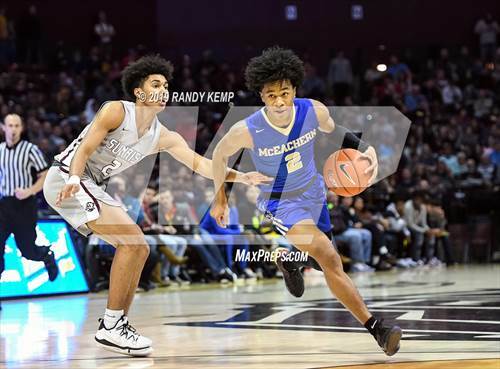 See the MaxPreps Player of the Year take over the marquee tournament. The Indians went undefeated and captured the program's first state championship. McEachern (32-0) became the first team since 1995 to complete an undefeated state championship run in Georgia's highest classification and finished ranked No. 2 in the nation in the final MaxPreps Top 100. The elite point guard opened the season with a 16-point, fourth-quarter performance — including the game-winning 3-points — against Anthony Edwards and Holy Spirit Prep (Atlanta). 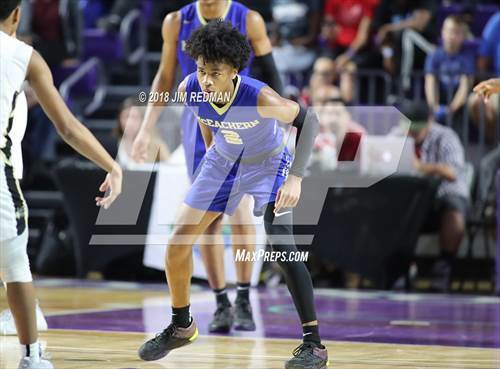 His play continued with a 20-point, five-rebound, four-assist outing in the City of Palms title game win over Imhotep Charter (Philadelphia), despite battling foul trouble. 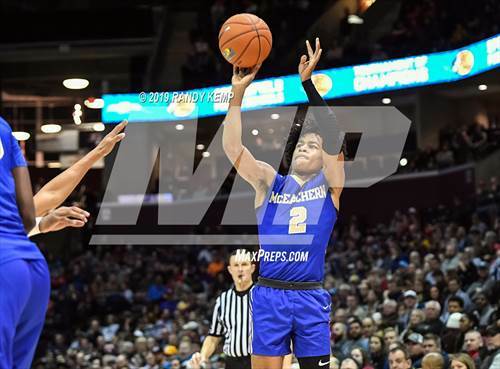 In one of Cooper's most impressive performances of the season, he rallied the Indians in a rematch with Imhotep at the Cancer Research Classic. Cooper led the charge with 23 second-half points to erase a 15-point halftime deficit in the 61-58 victory. The 6-foot-1 guard was the leading scorer in the Bass Pro Shops tournament of Champions, scoring 28 points in 18 minutes of action in an opening-round win over previously unbeaten Springfield Catholic (Springfield, Mo. ), before a 31-point semifinal performance against Shadow Mountain (Phoenix). In the event title game against Sunrise Christian Academy (Bel Aire, Kan.), Cooper drained the game-tying 3-pointer to force overtime despite struggling most of the game. In overtime, he nailed a trey from the identical spot in the right corner to give McEachern a two-point lead with 25 second remaining. He would later ice the game with a pair of late free throws. Cooper continued his stellar play at the Spalding Hoophall Classic, finishing with a game-high 27 points and making his final five field goals to close out the quality victory over Rancho Christian (Temecula, Calif.) 66-55. 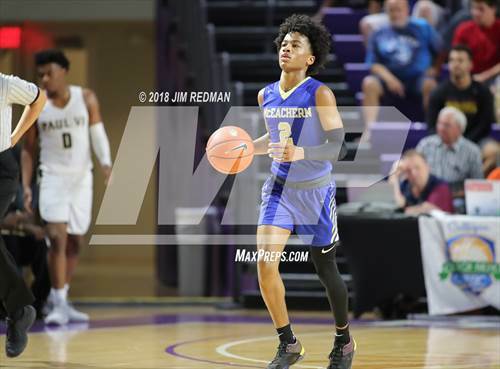 After concluding out-of-state play, he and the Indians returned to the Peach State to dominate local competition with a spectacular three-game scoring stretch, going off for 32 points, 45 points and 42 points in his return to in-state competition. The 5-star junior concluded the year with a pair of gritty in-state wins over Top 100 opponents. Cooper led all scorers in each game, scoring 26 points in a 66-62 semifinal overtime victory over Norcross, and finished with 20 points in a 62-54 state championship win over the defending champions Meadowcreek (Norcross). 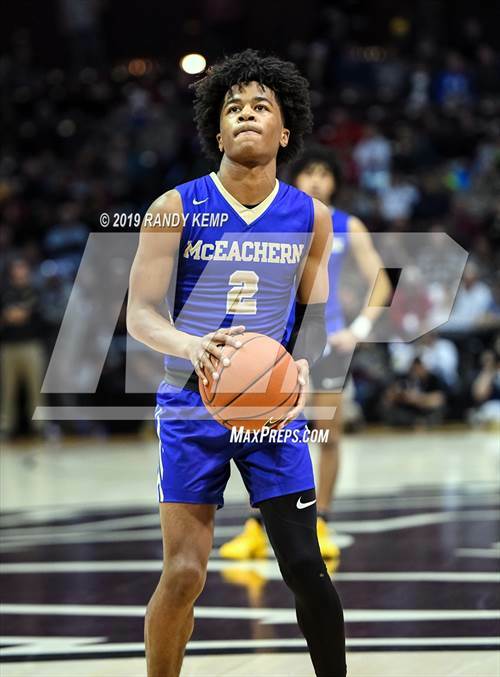 Regardless of what Cooper's future holds, it is safe to say he's cemented his legacy in the Peach State, guiding the Georgia Public School to an incredible 87-4 record over his three years and capping his spectacular junior season with McEachern's first title.